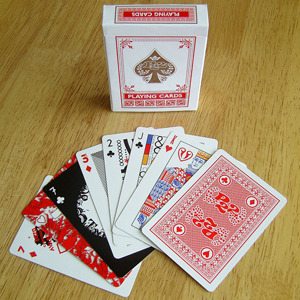 Back in 2004, P22 produced a specimen deck of cards that featured 52 different fonts on a standard regulation deck of playing cards. These were gobbled up quickly, so we held a contest to have guest designers complete a second deck. Briefly lost in the vortex of too many other things, deck #2 was finally finished in 2008 with all new designs and, dare we say, it’s even better than the first one! Get 'em while the last...only a few decks left.